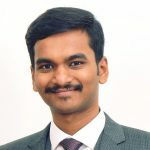 Vivek Devaraj is an open and enthusiastic engineer interested in automotive technologies, product sourcing and development. His goal is to become a holistic product developer integrating technology, user experience and business. Has experience working from Mechanical systems, hardware to software in companies like Renault Nissan, DAF Trucks NV. He loves working with kids and sharing his experience as an Automobile Engineer. Currently, he is the founder and CEO - OverSquareAutomotive spreading his experience to aspiring engineers.